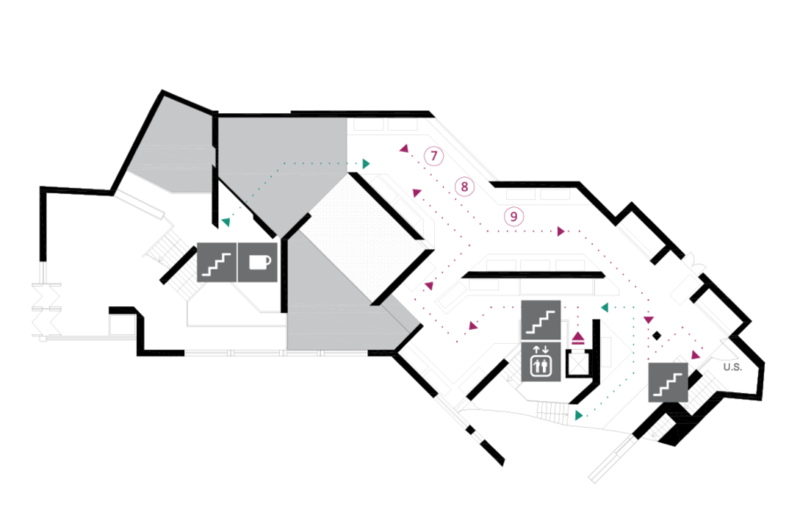 There are four exhibition floors in the museum: the Ground Floor, First Floor, Second Floor and Third Floor. 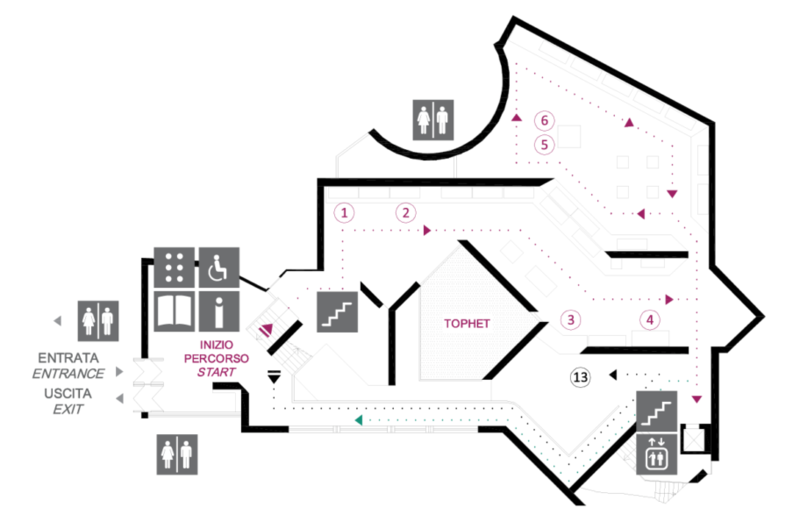 Between the first exhibition floor and the second floor, there is a “Teaching Room” on a mezzanine floor, which is accessible with a stair lift with a platform. It is used for teaching activities and conferences. It currently contains Sardegna Ricerche’s 3D printers, which are used during digital manufacturing workshop sessions. The third floor has been home to some of the Mont’e Prama sculptures since 2014. 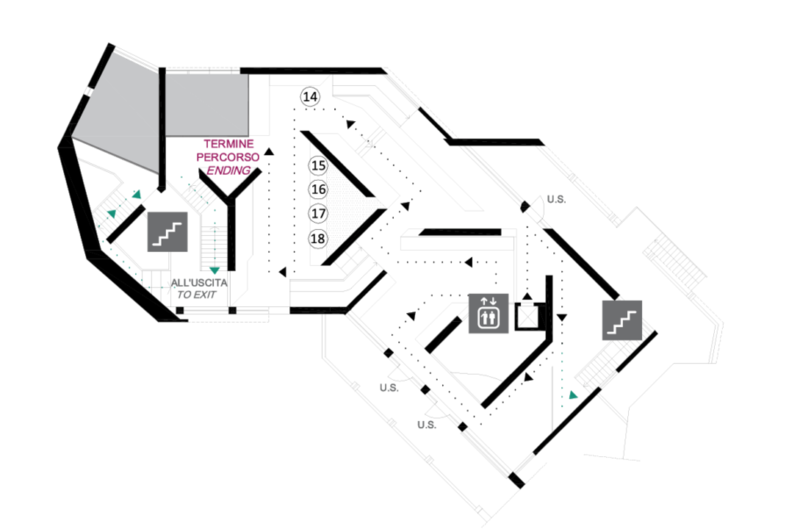 The exhibition routes. The museum’s collections are spread across four floors, which each have their own exhibition subject. The ground floor is used for teaching and it provides a historical overview of archaeology in Sardinia. 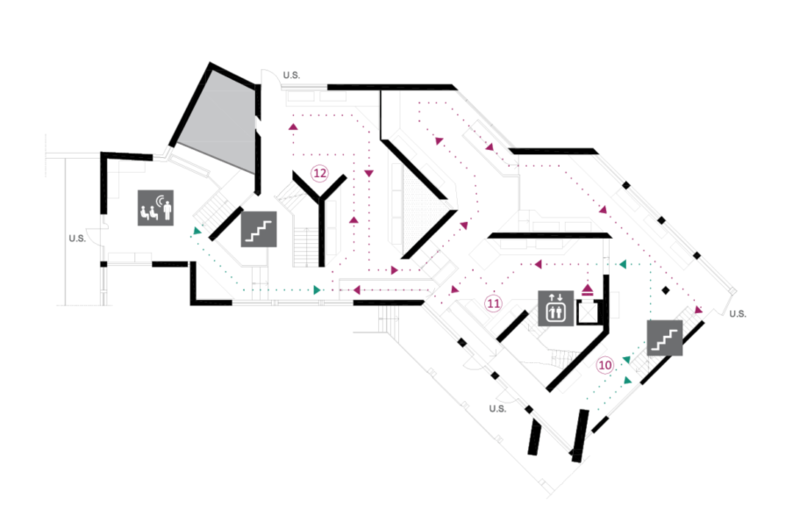 The other floors are organized on a topographical and territorial basis. The displays are currently being overhauled to make them even more inclusive. Ground floor. On the ground floor, there is a teaching route that leads visitors through human history in Sardinia, from the Early Neolithic to the Early Middle Ages. The materials on display come from both the first private collections that formed the original core of the museum’s assets and the various archaeological digs that have taken place in the region. First floor. The first floor is currently being overhauled. It is divided into two themed routes, the first of which is mainly dedicated to Cagliari and the surrounding sites. The exhibition route shows how the city has evolved and reveals the stratigraphy of some of its most important sites, such as Tuvixeddu, Santa Gilla and Monte Claro. Another room on the exhibition floor focuses on the main Nuragic sites. Second floor. The second floor is currently being overhauled. It is based on a topographic system and depicts some of the most important archaeological sites in Sardinia, including Monte Sirai, Sant’Antioco, Bithia and Nora. Large settings are juxtaposed with minor discoveries in an exhibition that brings prehistoric finds together with those from Roman times and Late Antiquity. The third floor is used for temporary exhibitions and it currently contains the majority of the Nuragic statues from Mont’e Prama Mont’e Prama sculptures. A multimedia system on the route tells visitors about the different types of statues.